Karen was the safety manager for a major telecommunications company. When she first got the job, she was dismayed to find that she could locate a blueprint of the office furniture placement, but not the fire alarm system. She quickly solved that problem with RescueLogic. Before long, however, she realized that RescueLogic was also the solution to an even more pressing safety concern: her company didn’t have an emergency plan. Getting RescueLogic up and running was easy. 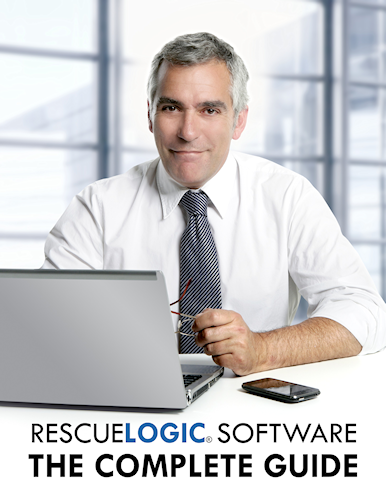 Karen simply installed RescueLogic software on her office computer. She asked the company’s fire alarm installer to give her a copy of their CAD files, with every device shown on a floor plan of the site. 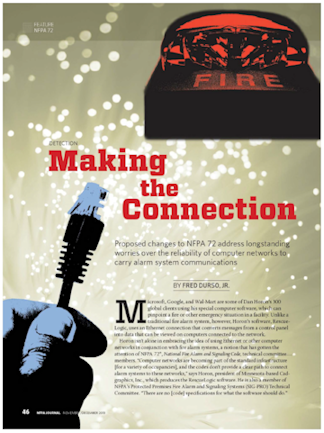 She also asked the alarm installer to connect her computer to the company’s fire alarm panel, through the computer’s serial port. When he pulled a wire in the panel, all of the devices reported to the panel. With that information in the system, RescueLogic was able to automatically compile a database of every alarm and device in the facility. Karen simply dragged each device from a list in one RescueLogic window to its place on the RescueLogic floor plan of her building. The entire process took less than a day, and Karen was feeling pretty confident about her new role as safety manager. But as Karen customized the emergency “Take Action” messages for her RescueLogic system, she realized that her company didn’t have an established emergency plan. Granted, everyone took part in an annual fire drill — usually on a nice day, sometime in the spring. But as Karen looked around, she realized how inadequate that was. One of her co-workers, for example, had recently shattered his right leg in a skiing accident. He worked on the third floor. How would he get out of the building in an emergency? Another co-worker was blind, and she worked alone in an office on the second floor. How would colleagues in other parts of the building know if she had been able to escape a fire or similar disaster? And fire drills aside, what were employees supposed to do during other types of emergencies? In Karen’s area, people had to contend with blizzards in the winter and tornadoes in the spring. There were hazardous materials stored in a workroom in the basement, and telephone facilities were certainly part of the infrastructure that local authorities wanted to include in their homeland security precautions. Karen needed a full-fledged emergency plan. RescueLogic provided the framework. First, Karen used RescueLogic to verify that all of her fire and security alarms were shown in their proper place on the floor plan, and that they were tested and maintained according to schedule. She used RescueLogic to identify and categorize other related safety devices, too. She listed the location of every fire extinguisher, for example, as well as their maintenance schedules and the companies responsible for their maintenance. Then Karen used RescueLogic’ “Take Action” setup forms to clarify step-by-step procedures for every type of emergency, from dead batteries in a smoke alarm to a full-fledged terrorist attack. She also used the RescueLogic “Take Action” forms to determine who would be in charge of employee safety in each area of the building, and how they could be contacted. She included information in the “Take Action” messages about people who might need special help in an emergency, such as her colleague with the broken leg. In fact, she used the RescueLogic “Take Action” database to coordinate all of the company’s emergency contact information: who to call during the day, and who to call after hours. Karen even hyperlinked her RescueLogic system to a national weather website, so that she and the company’s security guards could check for warnings about oncoming storms. When she was done, Karen simply consolidated all of her standardized emergency procedures into a single document and distributed a copy to every manager.